Real estate developers and sellers garnered media attention this past year with stories about how they are using virtual reality (VR) and augmented reality (AR) technologies to help clients visualize and experience luxury properties or future projects for sale or investment. While there's no discounting the "cool" factor of doing a virtual walkthrough of your dream home before it has been built or remodeled, these technologies have even greater potential for the AEC industry in the design and execution of construction projects. In the not-too-distant future, VR tools will likely be commonplace in the office and on the job site. 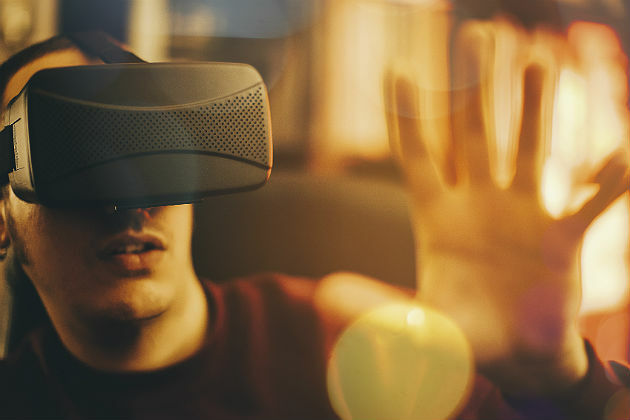 Although still relatively new technologies, VR and AR have quickly caught on in a variety of industries and professional fields as the hardware and software have become more readily available. They can greatly augment understanding and analysis — especially in fields such as medicine, engineering or architecture in which three-dimensional visualization is a critical component of ideation and problem-solving. Tech developers also have recognized their applicability to building and construction, given the size, complexity and needed oversight of projects. A growing number of larger construction, architecture and real estate firms have been using the technology to provide clients with interactive virtual renderings or walkthroughs. More recently, several companies have introduced products that bring the VR experience to the job site to troubleshoot possible conflicts or delays and document progress and regulatory compliance. In an article on how construction and development companies are using virtual reality to plan, manage, construct and market projects, GeekWire staff writer Nat Levy reports on a mobile app just coming onto the market this month called Context VR. Developers and builders can use the app to take 360-degree photos of a construction project, which can be stored on a cloud server and shared with co-workers, team members, clients, regulatory agencies and other stakeholders. Users can pin documents in PDF format to various locations on the photos to provide additional details. An AR component of the product makes the photo interactive, allowing viewers to "tour" inside the walls of the project using the photos taken earlier. The photos can be viewed using a VR headset as well for a more complete virtual experience. Aside from its visualization enhancement capabilities, Context VR improves documenting the project for quality control, safety inspections and implementing changes, according to early adopters quoted on its website. Also launching this month is VIMaec. As its name indicates, the firm will provide several tools employing virtual information modeling for the AEC industry using both VR and AR technologies. Designed to "reduce costs while increasing efficiency and collaboration," VIMaec uses Revit BIM data supplemented with building product data that are then translated into digital drawings and via Unity VR software rendered into a "data rich virtual environment." With the aid of a VR headset, the user can then view all areas of the project in "a fully immersive, easily navigable, and interactive 3-D" experience. One can take the virtual experience to the job site via a smartphone or tablet and VR headset, or have it all combined with the DAQRI Smart Helmet (see video above). A hardhat outfitted with virtual reality goggles, the DAQRI uses AR technology to project 3-D images of various aspects of a project, such as duct work or plumbing, onto the building shell so users can troubleshoot potential problem areas before work is underway. Among other features, it incorporates thermal vision, which allows wearers to passively record and analyze temperature data in real-time in the working environment. In addition, by providing detailed and interactive detailing of products and installation, DAQRI can be used to train personnel prior to installation. The current technology is still somewhat cost-prohibitive for small firms. But, as with most technologies, wider implementation and increased competition will lead to lower costs and even more functionality in the near future. Within the next year or so, the issue for firms may not be whether to utilize these technologies but which of the many competing products on the market they should choose to adopt.